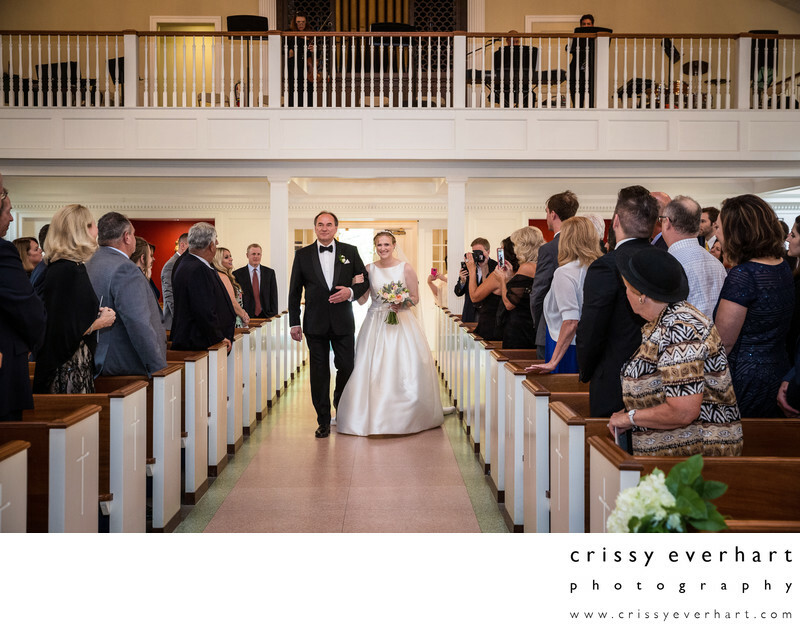 Dad walks his daughter down the aisle at the Catholic ceremony at Our Mother of Good Counsel Chapel at Malvern Preparatory School. The bride and her family are polish, and her parents came from Poland to attend the wedding celebration. Location: 418 S Warren Ave, Malvern, PA 19355.